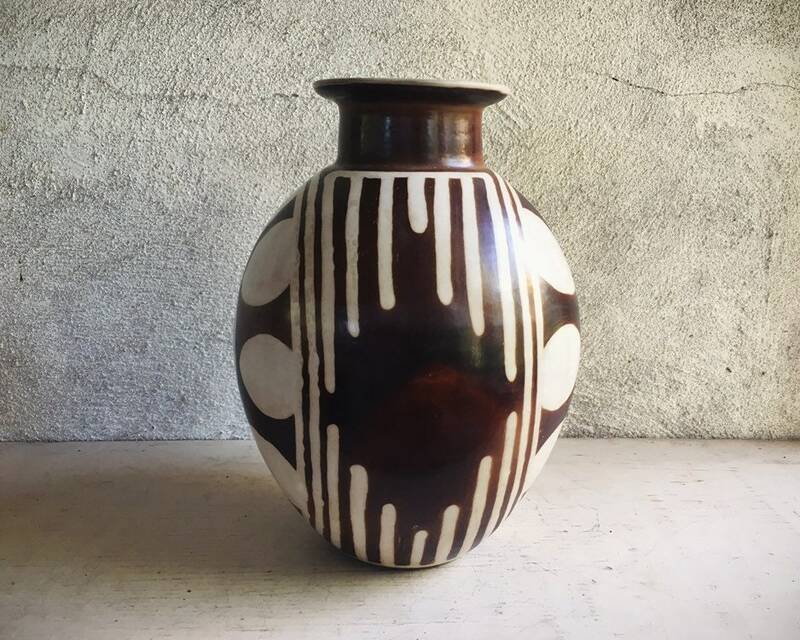 This tall vase from Peru is gorgeous, with a dark to light browns. 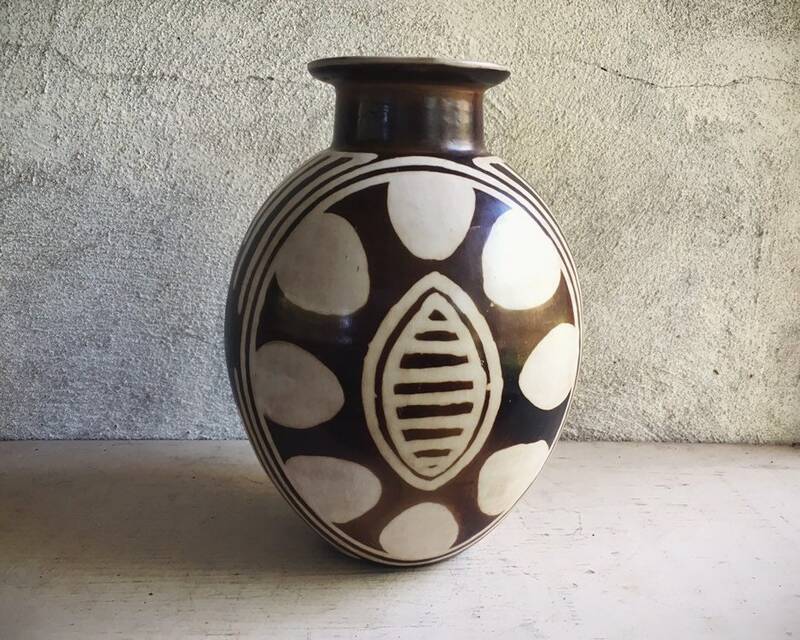 The geometric design is timeless and goes with home styles from modern to rustic to primitive. 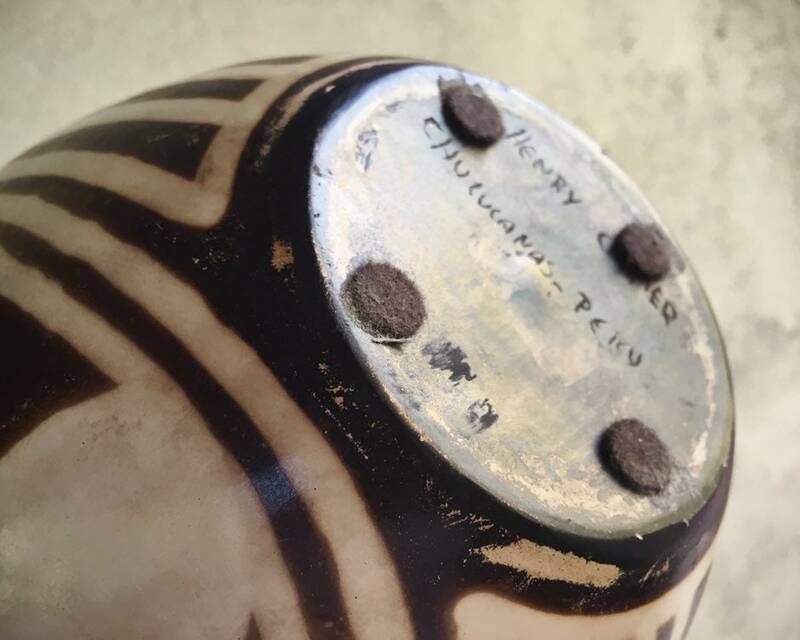 Signed on the bottom by Peruvian Henry Carmen (Carmer, although research points to "Carmen"), the piece comes from Chulucanas, Peru, a town filled with potters who have carried on the tradition through their families for centuries. 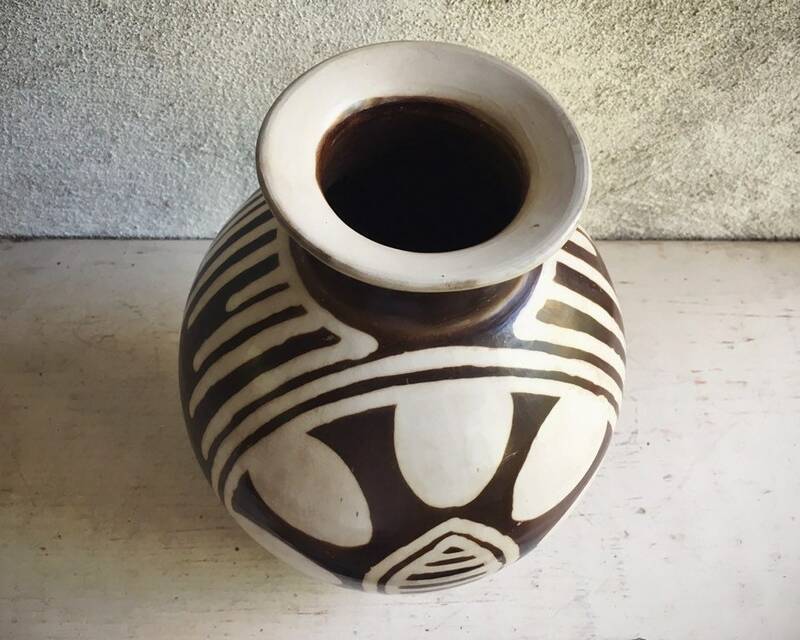 Much of the pottery here is thrown on a wheel, refined, painted, and burnished. 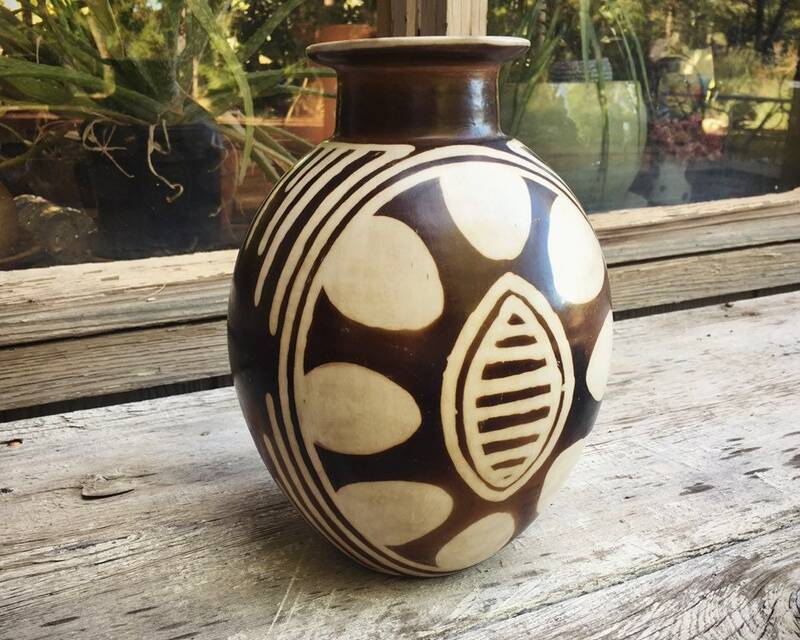 This particular piece would look amazing on a fireplace mantle, kiva fireplace banco, or on a shelf with other vases. 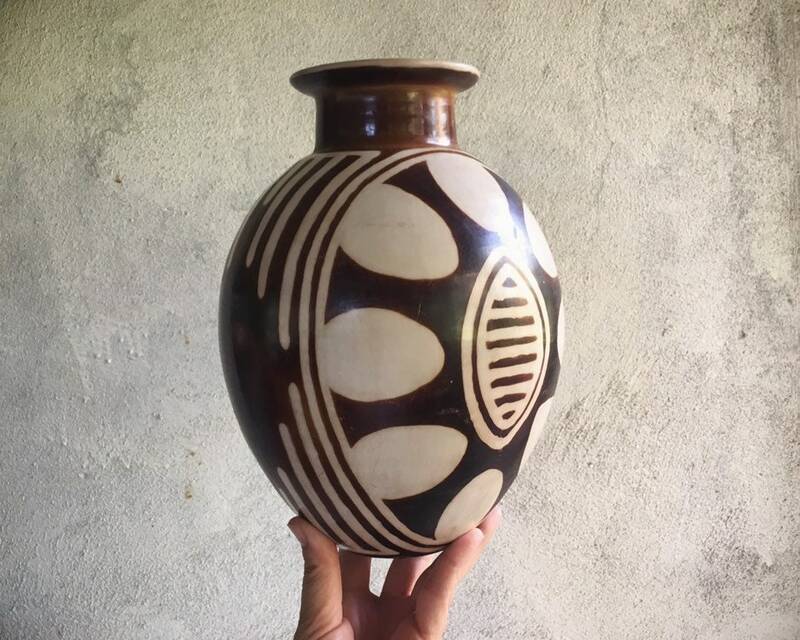 Pieces by this potter are on the market for upwards of $700. 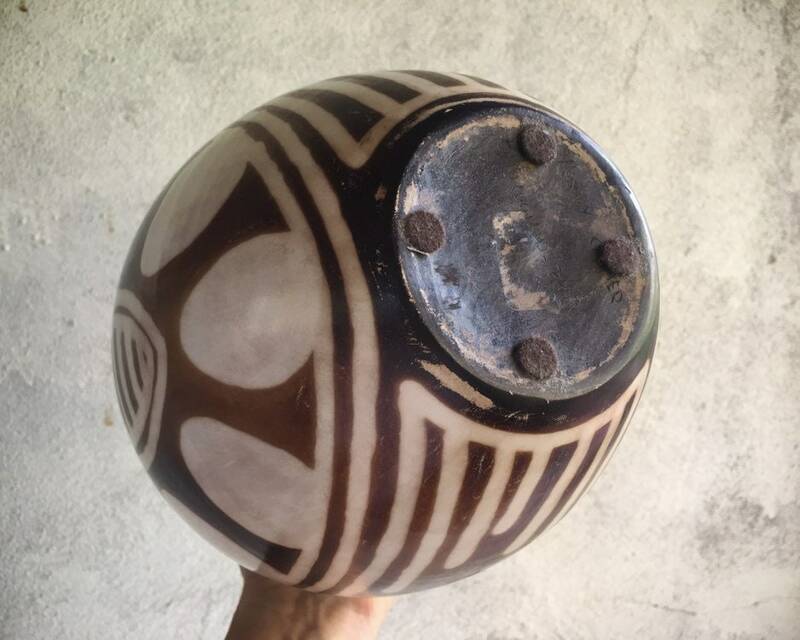 It stands 10" tall, has a base about 3" in diameter, and a lip just under 4" in diameter at the flare of the lip (about an inch smaller at the opening). In good condition with no chips, cracks, or crazing. 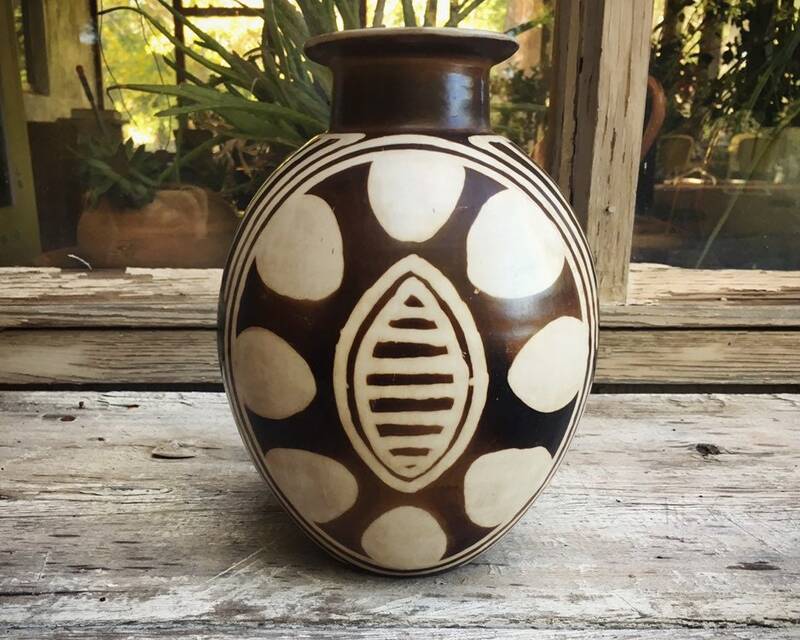 Great anniversary gift (pottery anniversary) or housewarming, or a gift just for you.